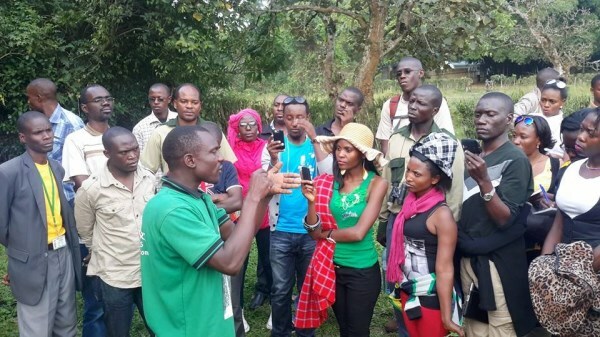 Amabere Ga Nyina Mwiru near Fortportal is a popular historical site worth your visit. 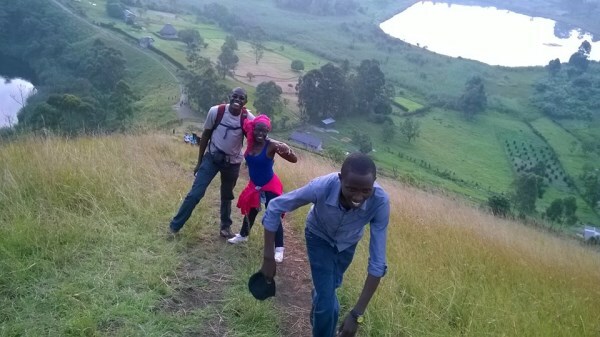 This is a popular historical site about 10 km from Fort Portal Municipality. There is a legendary tale that has kept it lively till today. Waterfalls and Caves welcome you. The picturesque crater lakes nearby are breathtaking. 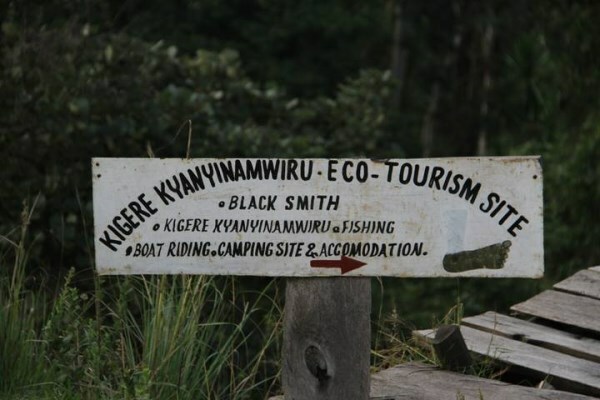 This tourist site in Kabarole district.It is preserved by the Rubombora family. They have preserved it for the future generations. The guides at the site are quite knowledgeable about the historical and scientific formation of the breast like formations on the rocks. The locals explain that these breast like features hanging below the amabere cave are associated with a legendary tale of a daughter who disobeyed her father.She was an attractive beautiful girl.It is told that King Bukuku of the Cwezi dynasty that gave birth to the current Tooro and Bunyoro Kingdoms cut off her breasts for refusing to marry the husband chosen for her. She later fled to this place and disappeared without trace. Therefore it believed that the oozing pillars on the rocks represent her breasts and milk. Scientists call the hanging pillars that look like breasts, stalagmites and stalactites. The site guide explains that the oozing milk is calcium that rolls over the rocks as a result of the waterfalls over the rocks. He cautions you to avoid touching them, because they take several years to grow to their current size otherwise you risk breaking them thus hindering them from further growth. Stalactites and stalagmites are considered as part of a Country’s natural heritage and are protected by law in some countries. The largest stalagmite in the world is in the cave of Cueva San Martin Infierno, Cuba. It is 220 feet high (62.2 metres). As you walk down the caves you will enjoy the Nyakasura Waterfalls that pours its waters to the basement of the caves. During the rainy season the paths are slippery so it is advisable to watch your steps. An extended walk to the surrounding is quite enjoyable and requires physical fitness. You will enjoy the crater lake scenery and have the chance to view them at the top of the hill. Amabere caves can be accessed by private transport. Since it is a short distance you can hire a taxi or tour operator to the site from Fort portal town. If it is part of your itinerary to other destinations, most tour operators will drive you there. The Rubombora family has B&B accommodation on the site. 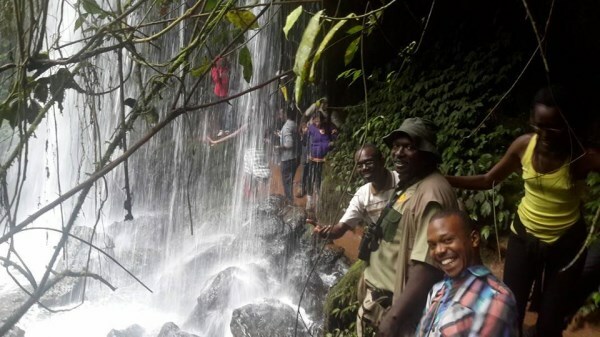 More accommodation is available in Fort Portal town that fits your budget.This site combines well with nature walks, culture and cave exploration. 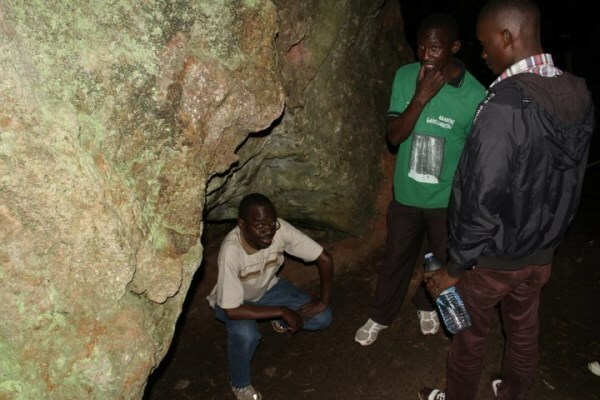 Other destinations that can be visited alongside the caves include national parks such as Semuliki National Park, Kibale National Park and Queen Elizabeth National Park.